Because I was saddened by the lack of crude sketches in Braak’s last post – which, sure, COULD stand on its own, but where’s the fun in that? – I have helpfully elaborated. 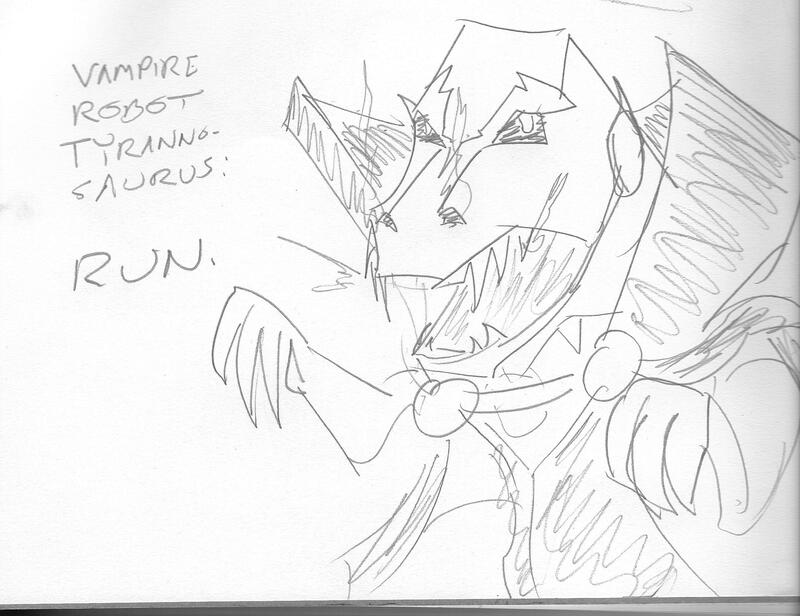 When vampire robot dinosaurs learn how to wear tiny capes, that is GAME OVER, man. And their teeny-tiny arms are uniquely suited for both sewing those capes, AND fastening them around their also-tiny shoulders, so…you’ve been warned. 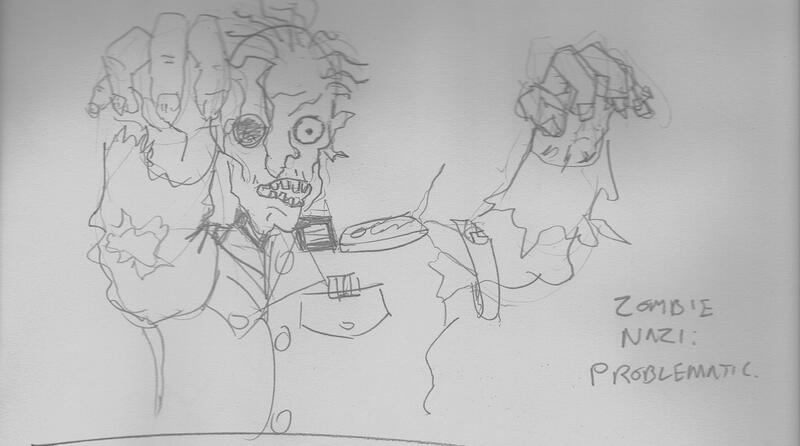 I think I might also do crude sketches for the post.